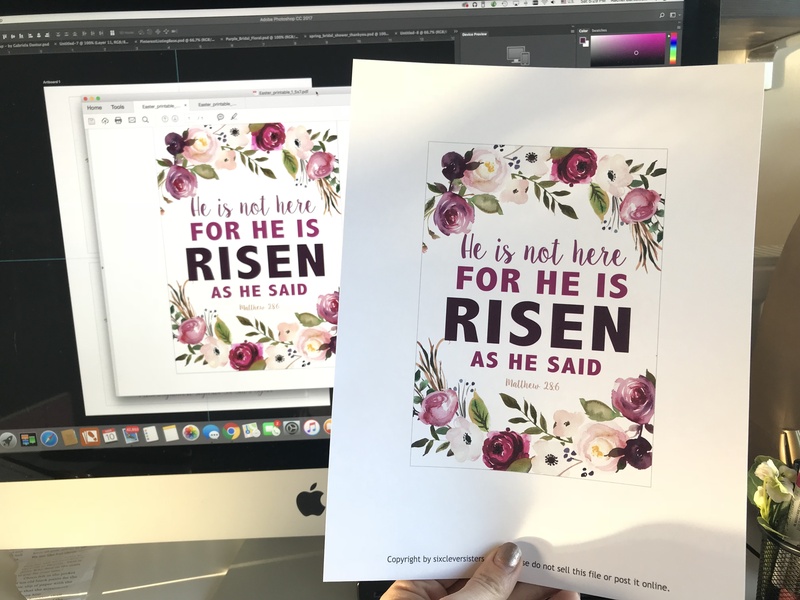 I love Easter and all that it represents, so of course during this season I needed an Easter printable! 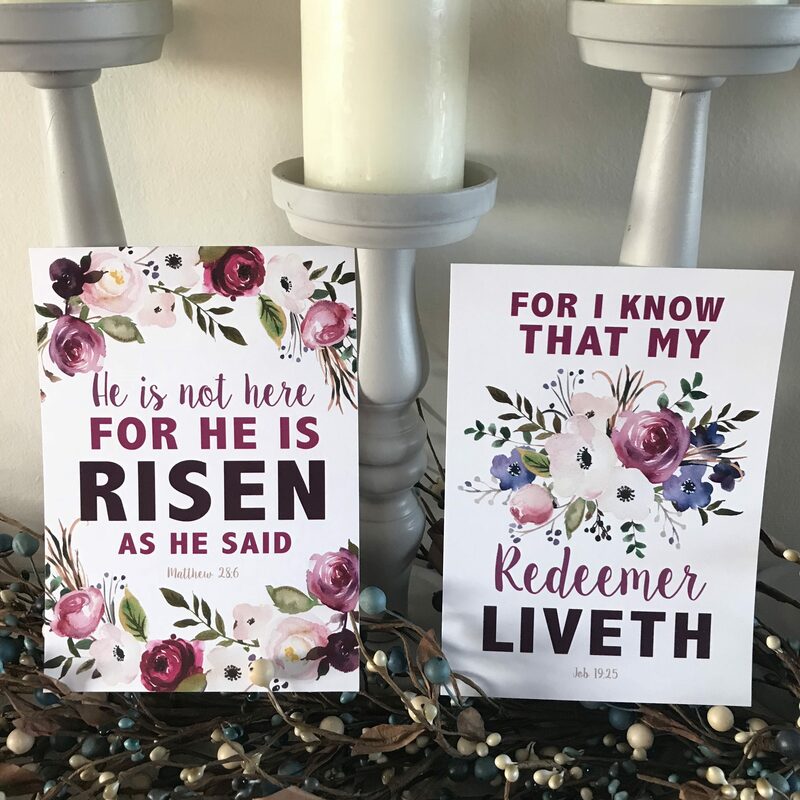 😉 I’m also ready for ALL the spring florals, so I combined some Easter Bible verses with some gorgeous lavender and pink florals to make these pretty Easter printables. By the way — we recently purchased a new printer and WOW it is amazing! We switched from inkjet, which we have always had, to our first laser printer. I can not tell you how happy it makes me to see my print come out the same exact colors as on my computer screen! I mean, they are SPOT ON. We went with the HP Color LaserJet Pro M245dw and we could not be happier! It’s a great price for the quality you get from it! 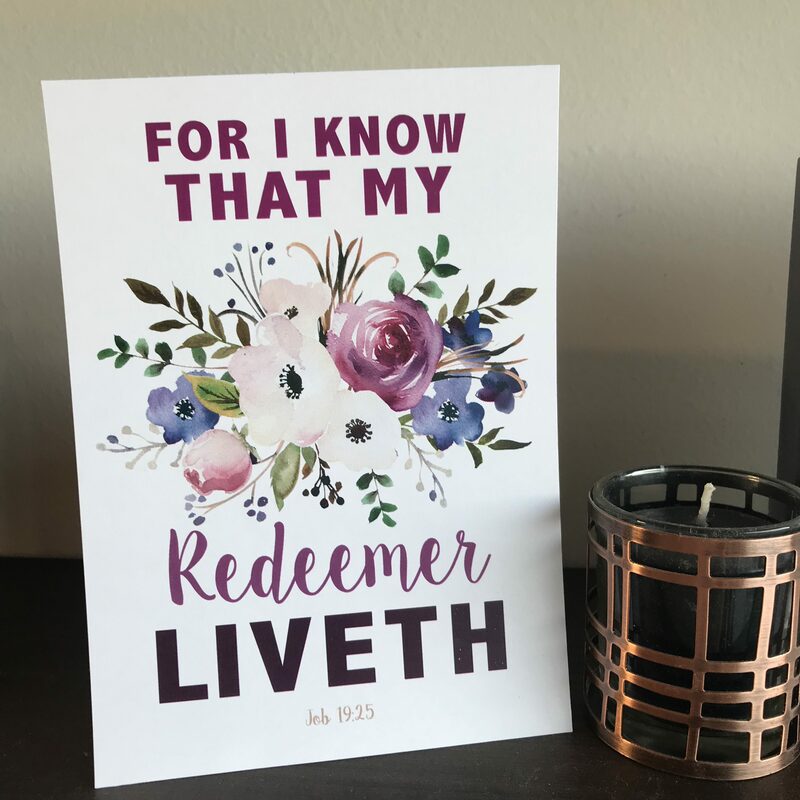 Once you’ve printed your signs (on cardstock! ), you’ll need to trim them along the gray lines. 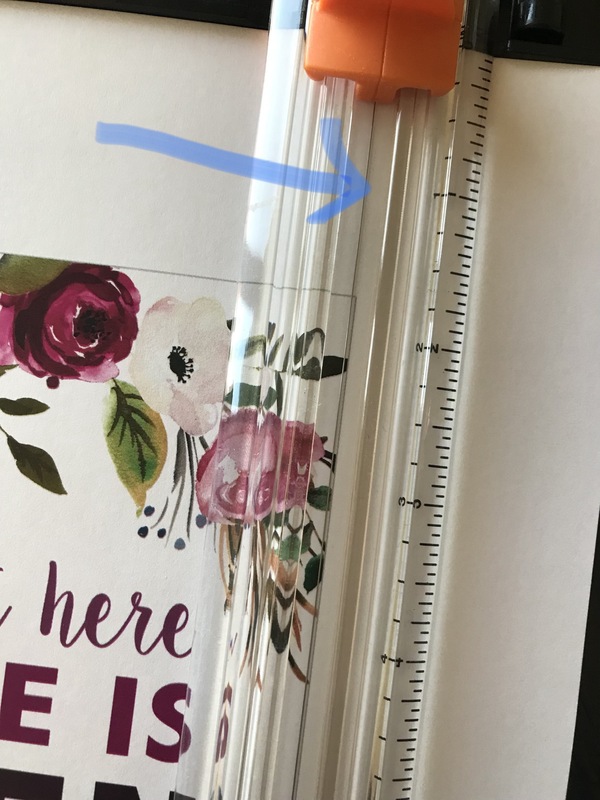 Make sure you keep fresh blades on hand for your paper cutter so that it doesn’t snag. 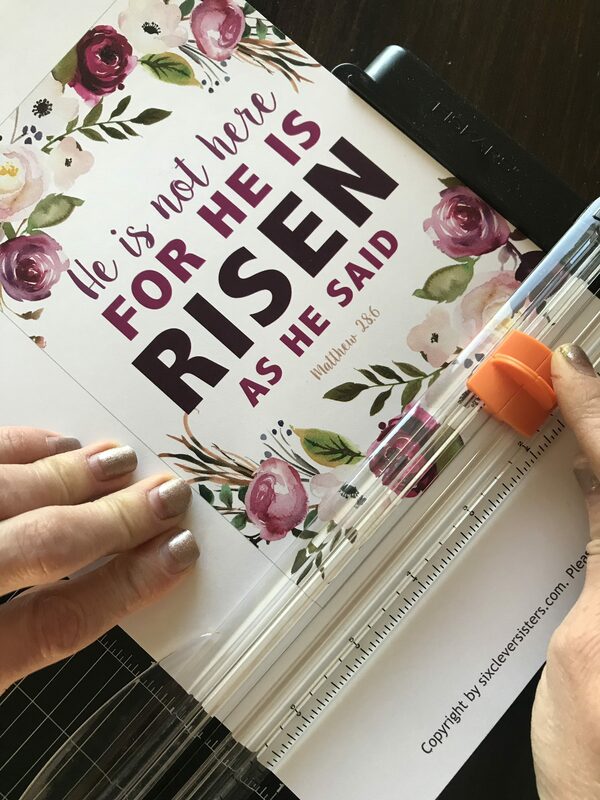 I love this paper trimmer more than others for one special reason — it has a wire cut-line so that your cut is sure every. single. time. Genius! See how you just line the wire up along your cut line to make sure you don’t swerve toward the end? Best idea ever! Ok, so on to the downloads……. 🙂 I’ve prepared both 8x10in. and 5x7in. PDF’s for you so you can choose what works best for where you want to display these. I haven’t framed mine yet, but I’m currently debating just leaving them in the garland on my mantle since they’re seasonal…..what do you think? Thank you! 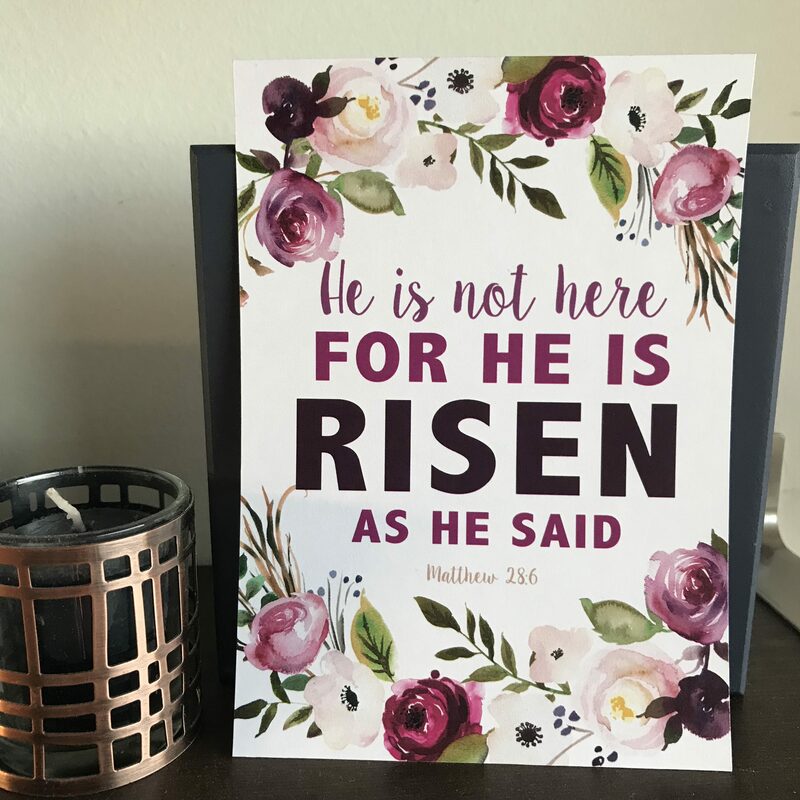 Beautiful and so true for Easter. 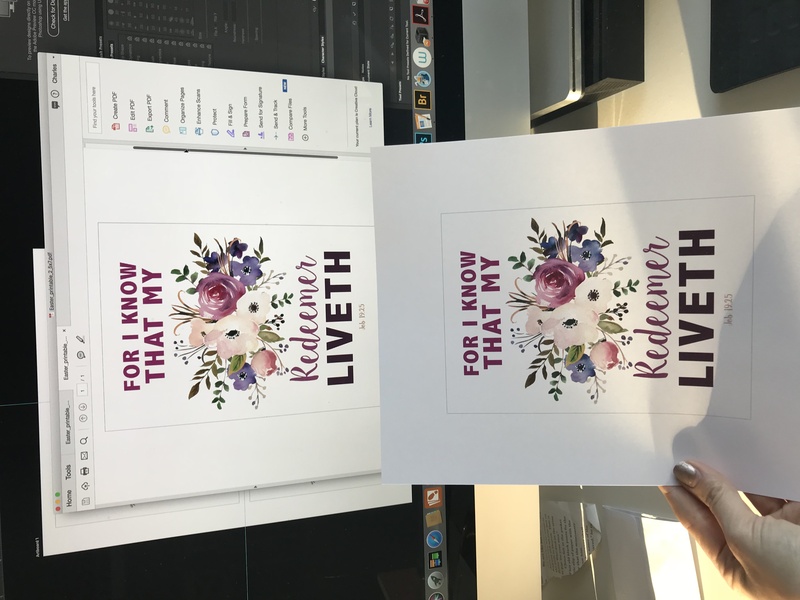 Thank you the prints are perfect for my daughter at Easter. God bless you for giving! These are gorgeous!! Thank you!